Jacob J. Toews, son of Johann and Margaretha Janz Toews, was born in Alexanderthal, Russia in 1914. His father was a preacher, teacher, and farmer. Toews received his elementary education from his father, but his schooling was interrupted when the family moved to Canada in 1926 and settled at Coaldale, Alberta on a beet farm. In the spring of 1928, Jacob was converted. As an older youth, Toews rode horseback four miles to Coaldale to take his high school, followed by Bible school in Coaldale and in Hepburn. In 1937, he married Lena Schulz; the couple had two sons and one daughter. Toews’ first major involvement in evangelism was when he and several other young men initiated an outreach program in Coaldale called “The Joyful Hour.” He also became a member of the Western Children’s Mission, which sponsored daily vacation Bible schools in various rural communities. In later life, Toews made a great impact as an evangelist at campaigns in churches, communities, and schools. While serving in the United States, Toews was a member of the Tabor College Board, the Board of Evangelism and Missions, and the Kansas State Sunday School Board. Following in his father’s footsteps, Jacob dedicated his life to full-time ministry. He pastored churches in Dallas, Oregon (1940–1944); Shafter, California (1944–1946); Buhler, Kansas (1948–1954); Kitchener, Ontario (1954–1959); Winnipeg, Manitoba; and Neuwied, Germany. He served as Bible teacher in Lustre, Montana (1938–1939); Pacific Bible Institute, Fresno, California (1944–1946); Bethany Bible School, Hepburn, Saskatchewan (1946–1947); Mennonite Brethren Bible College, Winnipeg, Manitoba, (1959–1966); and Clearbrook Bible Institute, Clearbrook, British Columbia (1977–1979). He was the Executive Secretary of Evangelism for the Canadian Mennonite Brethren Conference for nine years (1966–1975) and a resource person and minister at large for the Mennonite Brethren Board of Missions and Services in Europe and South America (1979–1984). While ministering, Toews pursued various educational degrees, including a Master’s Degree from the University of Toronto (1948), a B.D. Degree from the Western Evangelical Lutheran Seminary (1959), a Th.M. Degree from Winona Lake School of Theology (1963) and a Doctor of Theology Degree from Dallas Theological Seminary (1970). Toews is the author of The History of Mennonite Brethren Missions in Latin America (1972). His last position was conference minister of the Central District Mennonite Brethren Conference in the United States. He retired in Winnipeg and was an active member of the Portage Avenue MB Church. The Jacob J. Toews fonds was donated to Centre for Mennonite Brethren Studies by his wife Lena in 1994. A further donation was made by son Phil Toews in July 1996. The Jacob J. Toews fonds consists of study papers, lecture notes, sermon notes, radio sermon transcripts, itineraries and a three volume scrap book of Mennonite Brethren Mission related articles published in the Christian Leader from 1941–1964. Many of the sermon books are indexed thematically and alphabetically. Most are in the English language. Also in this fonds is a mimeographed copy of Toews’ dissertation “The History of Mennonite Brethren Missions in Latin America” presented to the Faculty of Graduate School, Dallas Theological Seminary in partial fulfillment of the requirements for the degree Doctor of Theology, Spring 1972, now located in the J.A. Toews library, also in published form. Many other J.J. Toews papers are located in the J.A. Toews library. Tapes of some of his sermons are located in the CMBS tape collection. Accession numbers are 1994–31, 1994–44, and 1996–38. Finding aid: The tapes are classified under NA-01–077, NA-01–078, and NA 01–082. I. Jacob J. Toews sermon series. Many of Toews’ sermons are bound in duotang binders while others came as loose material, and are now in folders. They are primarily in the English language, but some are in German. Many of the bound sermons are organized according to theme. The unbound sermons have been placed into folders according to the way Toews’ grouped them. Finding aid: Jacob J. Toews list 1–40. II. Jacob J. Toews academic series. This series consists of papers created by Toews in the pursuit of his own education and materials prepared for his classroom or other public teaching. Finding aid: Jacob J. Toews list 41–66. III. Jacob J. Toews Latin America and world mission series. 1 cm. of textual material, 1 reel to reel tape. This series consists of papers, some created by Toews, about missions in Latin America and other parts of the world. The reel to reel tape, probably not by Toews, is an introduction to South America – Quito, Aucas, Jivaros. Finding aid: Jacob J. Toews list 67–69. Finding aid for reel to reel tape: NA-19–67. IV. Jacob J. Toews itinerary and biographical series. This series consists of two small looseleaf binders and some loose papers in which Toews’ has documented the dates and places where he ministered. He has also recorded the types of services, sermon topics and texts for each place. The itineraries are organized geographically and include Austria, Africa, Germany, the United States, and Canada. The series also includes a small amount of biographical material, probably compiled by Toews’ children. Finding aid: Jacob J. Toews list 70–73. 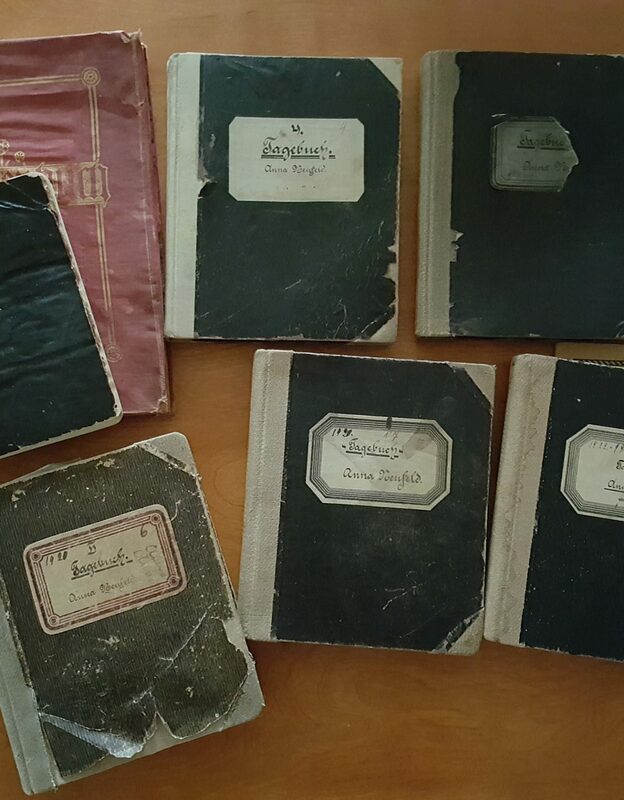 V. Jacob J. Toews Scrapbook of Christian Leader Articles on MB Missions. 27 cm of textual records: 3 binders. This series consists of articles related to Mennonite Brethren Missions clipped from the Christian Leader by J.J. Toews’s students at the Mennonite Brethren Bible College who were taking the course entitled “MB Missions” with him around 1965. Volume I covers Brazil, Columbia and Congo. Volume II contains articles on missions in China, Europe, India and Japan. Volume III covers Mexico, Panama, Paraguay, Peru, Equador, Jordan, Canada and the USA. Finding aid: Jacob J. Toews list 74–76. Series I: Jacob J. Toews sermon series. Sermons, some radio messages given at Buhler. 1949–1953. Sunday morning messages and radio messages. 1950–1951. Sunday morning messages at Buhler. 1951–1953. Radio messages at Kitchener. 1956–1959. Radio messages on the minor prophets. German. 1965. 50 radio messages on Philippians. Undated. 65 radio messages on the book of Ephesians. 1957. The Boards of the Tabernacle, messages on Exodus. Undated. “Die triumpherende Gemeinde Heute.” Undated. Messages based on the book of Matthew. Undated. Sermons. “Holiness and Worldly Amusements.” 1950. “A Motto for successful living.” Undated. Sermons on the church and other topics. 1987, most undated.Sermons on Jesus as King. 1949, most undated. Sermons on evangelism and the Spirit. Undated. Baccalaureate sermon given at Buhler Kansas. 1950. Sermons, “The Prayer Warrior on the Battle Field.” 1950. “Die Bieblische Bedeutung einer Ordination.” Undated. Sunday morning and evening sermons, preached at Buhler, Kansas. 1949–1950. “Money and Missions,” a sermon preached at the Southern District Conference. 1950. Sermons, “Yield Yourselves to God.” Undated. “The Christian’s Position in Regards to War.” 1951. Other sermons. 1950, 1952, undated. Sunday morning and evening and Bible Conference sermons. 1950–1952. “The Christian and the Worldly Courts.” 1950. “The Christian’s Attitude Towards the Devil.” 1950. “Nach der Seelsorge die Begegnung.” Undated. Sermons on Old Testament characters, Abraham, Isaac, and Joseph. 1953–1954, undated. “The Christian and Television.” 1953. Sermons, some on the theme of missions. 1967, most undated. “Ein Dreifacher Dienst des Bibel College.” Undated. Sermons, many on the theme of missions and evangelism. 1940, 1945, 1953, most undated. Sermons on the book of James and Philemon. Undated. Sermons on the Sunday School and Christian love. 1952, most undated. “The World Perspective of Missions.” Undated.“Knowing the Will of God for my Life.” Undated. Sermons on the book of Revelation. Undated. Sermons on the Holy Spirit. Undated.Installation service for Kit Boschman. 1986. Sermons on evangelism, repentance, and conversion. Undated. “Group Dynamics in Adult Education.” Undated. “The Place of Women in the Church.” Undated. “Secret of Marital Oneness.” and other topics. Undated. Outline of the Book of Romans. Undated. Outline of the Book of Habakkuk. Undated. Notes on the Minor Prophets. Undated. “Necessary Steps in Good Church Leadership.” Undated. Sermons regarding young people in the church and others. 1957, 1961, undated. Easter and German sermons such as “Der Zweck der Gemeinde.” 1982, undated. Series II: Jacob J. Toews study paper series. Study papers given by J.J. Toews at Banff – “The Will of God,” “Happy Family,” and “Dating Standards for Teens.” 1977. Paper by J.J. Toews. “Divine Sovereignty and Prayer.” Undated. Two study papers prepared by Toews for the Manitoba Ministers’ and Deacons’ Conference. 1971. Thesis by J.J. Toews: “The Early Church from Pacifism to Militarism.” Undated. Papers by others presented at the Conference on the Church and War at Detroit. May 8–11, 1950. Paper by J.J. Toews at Dallas Theological Seminary, “Notebook for Advanced Evangelism.” Undated. Paper by J.J. Toews: “Patterns of Evangelism.” 1970. Paper by J.J. Toews: “The Pre-Evangelism Process.” Undated. Paper by J.J. Toews: “Urban Evangelism.” German. Undated. Paper by J.J. Toews at Dallas Theological Seminary, “Twelve Lecture Outlines of Biblical Theology of Missions.” Undated. Outlines on the book of Acts: Lecture notes and transparencies. Undated. Outlines on the books of Galations and Romans: Lecture notes and transparencies. Undated. Outlines on the book of Revelation: Lecture notes and transparencies. 1978. Paper by Toews: “The Mennonites in Canada: Who are they? What do they do?” 1948. Thesis submitted at Waterloo Lutheran Seminary for the Bachelor of Divinity Degree: “The Significance of the Old Testament Tabernacle.” 1959. Thesis submitted at Winona Lake School of Theology for the Master of Theology Degree: “Early Mennonite Brethren Missions.” 1967. A research paper by J.J. Toews for Dallas Theological Seminary: “The Miracle Church in Korea.” 1970. A research paper for Dallas Theological Seminary: “Indonesian Christian Movements in the 1960s.” 1970. A research paper by J.J. Toews and G.W. Peters at Dallas Theological Seminary: “Case Studies in Indonesia.” 1970. “Die Nachfolge Christi und Unsere Ethik.” Undated. “Evangelism and Church Planting in Europe.” Undated.“Suggested Approach for Missionary Work in Europe.” Undated. “The Holy Spirit and Missions.” Undated. “Sanctification of the Sabbath.” Undated. “Das persoenliche Zeuchnis in der MB Gemeinde.” Presented at the Canadian MB Conference. 5 July 1960. “Document on Continuous Church Centered Evangelism.” Undated. “The Church’s Field for Evangelism.” Undated. “The Prayer Cell Ministry.” Undated. “Evangelism on the Mission Field.” Presented by Jacob J. Toews to Dr. G.W. Peters. Undated. “Is a Moratorium on Missionaries Never Justified?” Undated. “New Testament Priorities in Missions: Proclamation and Service.” Undated. Overheads, Outlines, Bibliography, and Sylabus used for Church in Missions Course. 1979. A research paper for Dr. Howard Hendricks at Dallas Theological Seminary, “Authority in the Christian Home.” 1969. A Brochure called “Glaubensbekenntnis der Mennonitischen Bruedergemeinden.” Not by Toews. Undated. Series III: Jacob J. Toews Latin America and world mission series. A paper on “Facts on Latin American Republics.” No author given. Undated.A list of Theological and Bible Schools in Latin America, compiled by William H. Taylor, Field Secretary of Central American Mission. Undated.Minutes of Joint Committee on Latin America held at Chicago. December, 1957. A missionary survey of Latin America, handwritten, probably by Toews. 42 pages. Undated. Analysis of World Missionary Statistics by the Evangelical Foreign Missions Association. 1958.Survey of missions in the Middle East, handwritten, probably by Toews. 12 pages. Undated. Series IV: Jacob J. Toews itinerary and biographical series. Itinerary of ministry in Canada, organized according to provinces. 1960–1978. Itinerary of ministry in the United States and other churches including Africa. 1960–1978. Itinerary of ministry in Germany and Austria, also some in North America. 1976–1983. Series V: Jacob J. Toews Scrapbook of Christian Leader Articles on MB Missions. Volume I. Brazil, Columbia. Congo. Volume II. China, Europe, India, Japan. Mexico, Panama, Paraguay, Peru, Equador, Jordan, Canada, USA.